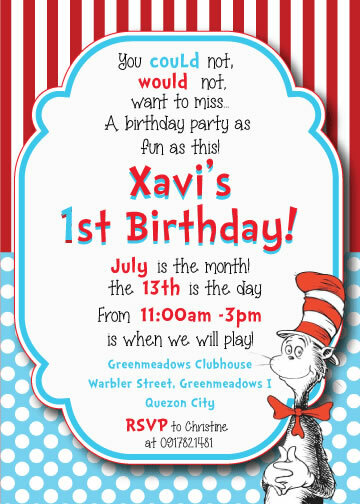 manila fashion observer: Xavi Turns One at Seussville! Xavi Turns One at Seussville! I can't believe Xavi is one today. Our big, chubadubs baby boy who we call Spider Pig at home because he likes to crawl and climb everywhere, and whose hands are the stickiest (he can literally grasp a glass with one hand, no kidding), is officially a year old today. I'd spare you the sappy, sentimental bits, but I would just like to greet Xavi here a HAPPY 1st BIRTHDAY! Heehee. Whoever said "time flies" certainly knew what he was talking about. Because that's how it feels. One minute I'm pushing out Xavi, next thing I know, we're celebrating his first birthday. Which we did last weekend. I shared photos on Instagram because I was so happy with how Xavi's party turned out. Many have been asking me about my suppliers, so I thought I'd do a quick post to share with you what Xavi's party was like. I'll do more thorough posts too, as these are just snippets of the party. Background: I've been doing DIY parties for Berry and I did the same for Xavi too. 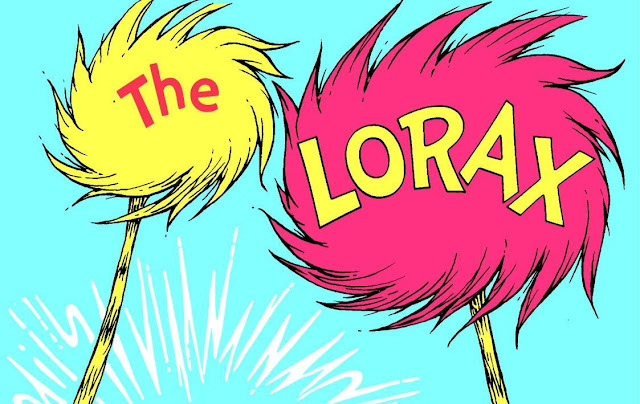 I planned Xavi's party myself, but this time, I was lucky enough to meet my friend Cathy Lim's sister-in-law, Michell Lao of Party Magic, who tastefully turned the Greenmeadows Clubhouse into Seussland! Initially, I just wanted to order balloons from her, but as I told her about my theme, and she started sharing her vision with me, I found myself so excited with her ideas that I just let her do her thing, heehee. 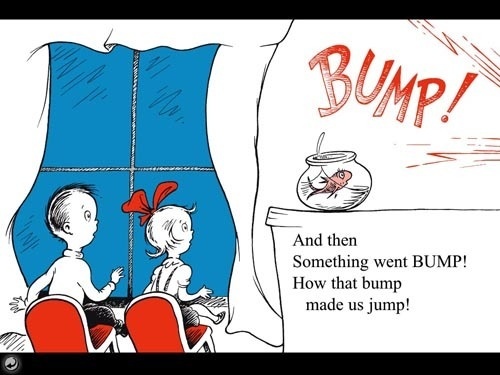 Which was kind of like the ones in the Cat in The Hat book! We had two types of centerpieces, which were either polka dot pails or these inverted felt Cat in The Hat hats handmade by Anne Mateo of Ant's Pocket. My sisters Dianne and Nicole gamely wore the hats, haha. The big one was supposedly for Dada and the small one for Xavi, but the boys did not want to wear these, corny. Haha! Catering was by M Catering, and I arranged for an adult buffet as well as a kids buffet. The chocolate chip cookies and milk shots was the hands down hit for both kids and adults! Apart from "real food", we also got corn dogs and cotton candy from Jeriz Food Carts, and fries from NYFD. Ice cream pops were courtesy of Nestle. ...as well as personalized keychain and balloon souvenir booths, which were so cute! The guests loved this! One last photo by the balloon wall before it went pop! pop! pop! looks like a fun party! wish i was there! I love everything! I'm now excited planning for my daughter's 1st bday too! Cute party, but I think it's spelled Dr Seuss and Seussville. That's what it says on your invitations as well. Amazing, Tin!!! Very tastefully done! I like your choice of entertainment! Since we've had our fair share of loud magicians, shows, hosts...the story telling idea is genius! I've noted all your suppliers! Excited to throw a party in...3 years! haha! Regards to Harvs! Please tell him he still looks like a lawyer in Xavi's party! haha! Wish you were here, Tita Trina! Yes Donna! So fun to plan, just get reputable suppliers so you won't have anything to worry about!!! Anon, thanks! Corrected na! Invitation was ok! Yay! I was looking forward to reading about Xavi's first bday :-) Nice one. Congrats to you and your suppliers for pulling it off.